I found this in the archives and decided it fits perfectly with our #AddJoy theme! 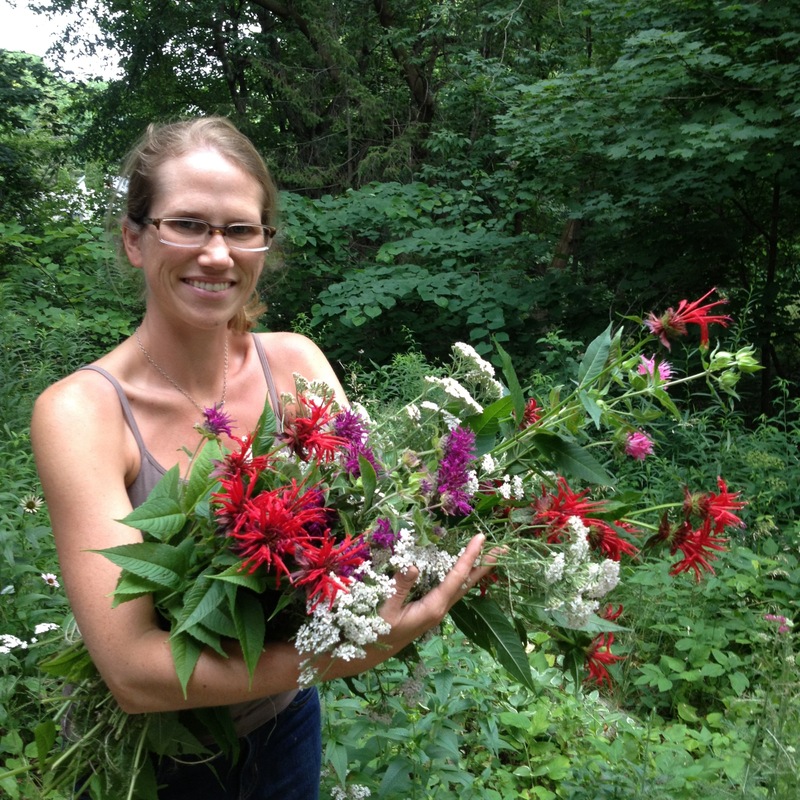 Today my herbalist friend Lisa Rose Starner will share about planting herbal gardens. You may remember her from my previous foraging posts. Many people are going locavore this year and are choosing local farmers over the supermarket!!! It’s now quite popular to have tilled the grass for edible plants and vegetables as their outdoor landscapes instead of lawns. Canning is back, as is pickling and freezing the summer’s bounty for winter. But imagine this — your own herbal apothecary filled with local herbs that are gathered from your gardens, the farmers market, and even field hedgerows and woodlands that you can turn to when you feel a cold coming on or get an upset stomach after an indulgent meal. There is nothing more gratifying and satisfying to know you’ve stocked your pantry with herbal concoctions and medicines to keep you and your family well throughout the year. For many, the word herbal apothecary evokes images of shelves, bottles and jars all filled with mysterious herbs, herbal formulas from exotic plants. 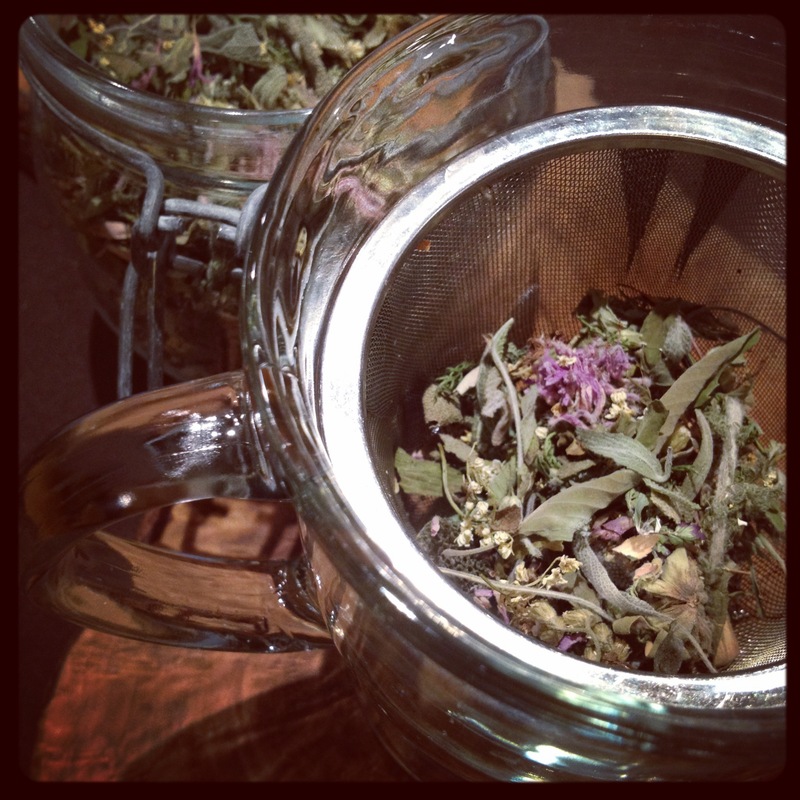 But to have an herbal apothecary that your family can turn to for basic ills and chills, plants need not be exotic or mysterious – in fact, as more and more people look to local plants and herbs to incorporate into their natural wellness routine, beginning your own apothecary can begin as close to home as the garden. Grow your own. Tips for adding herbs into your garden for harvesting. Got gardens? In establishing a supply of herbs for your own herbal, consider growing a few perennial kitchen herbs like popular plants such as Rosemary, Thyme, Sage, Mint, Bee Balm and Lavender. These well-known plants will not only offer you a source of fresh culinary herbs throughout the season for cooking, but can be dried for tea for winter’s warm sipping. Also keep in mind that it’s nice to have these culinary herbs close to the kitchen for easy harvesting when cooking! Kitchen herbs can be easily integrated into a current garden plan if you already do have a garden or yard, or can be easily grown in containers on the patio and in the windowsill if you are an apartment dweller and lack growing space. These basic kitchen garden herbs are widely available at local greenhouses and can often be found at the farmers market (when selecting transplants for your gardens, be sure to look for plants that have a vital energy and have been started in chemical-free, heavily composted soil). And even if it’s fall and the snow’s soon to fall in your area, these are herbs that can survive indoors with the proper care. Farmers Markets. Don’t feel left out if you aren’t a gardener. The fall harvest season is the best time of year to hit the farmers markets for garden-fresh herbs that you can preserve and dry. Check out LocalHarvest.org for a market or farmer that sells herbs in your area. Harvesting & Preservation. Throughout the growing seasons, kitchen herbs can be easily cut with scissors and can be used to make herbal honey or vinegars. Their stalks can be bundled and hung to dry simply dried on screens to later be blended together for a soothing aromatic tea blend. An added bonus for cutting back the first round of blooms: Sometimes an early cutting of the flowers will result in a second bloom. Lavender will often do this if it’s a warm summer. To dry the plant material for tea, individual leaves and flowers can be harvested and dried on screens in a dry space. The larger stalks can be bundled and hung to dry. Be sure to harvest the plants after the morning dew has evaporated and that the plants are fully dry before storing in glass jars. If the plant is not thoroughly dry before storing, there is a high likelihood that the drying plant material will mold in the container — and that’s a drag. Be sure to always label and date the jars as you put up your herbal harvest. Using your herbs in your apothecary. Tasting, smelling your freshly harvested herbs will set you on your way to better understanding how plants can be used in times of illness and as part of a regular diet. Take note as to how they taste in tea using both dry herbs and fresh plants. Notice a difference? You will learn ways to prepare the herbs to suit your tastes, and also how they may have an action on the body. So as you continue along your herbal harvest journey, experiment with the herbs singly as a tea or try blending them together! Over the coming season, you may find that you like working with plants so much you will want to delve into making herbal salves, herbal infused oils and tinctures. Or become a forager of the wild, uncultivated plants. You certainly will discover that it is truly satisfying to begin to rely on the natural world for wellness and to connect to a tradition of herbal healing and reliance on plants that is as old as time itself. To learn more, consider signing up for one of my foraging and medicine making classes. I’d love to have you and share with you the healing wonders of the outdoors. It’s good for both mind, body and spirit (AND pocketbook!). At the onset of feeling a chill of a cold (in Spring, Summer or Winter), brew this traditional blend in a covered pot so that the aromatics of the plants don’t evaporate away. Drink HOT (this is a therapeutic in and of itself, and will also help the body relax). Cover with equal parts boiling water. Let steep for 5 minutes. Drink HOT. And like Grandma always says, Put on a hat! Cover the body, keep it warm, take to bed and REST. If you really are feeling crummy, consider making a large thermos of tea to keep hot by the bedside – this will help you to stay in bed and support the body’s immune system as it works on staying well. This is a great post about something I’m not one bit good at but wish I was. I keep saying I’m going to learn more about using herbs for health but it hasn’t happened yet. Thanks for the reminder.